If you’re connected to the real world, you may have heard about the tea tree oil and all of its benefits for all sorts of problems, from treating acne to sinusitis, or even an athlete’s foot. The volatile essential oil is made from the leaves of the tea tree and has been used for centuries in Australia. Skipping the historical facts, it’s good to know that the tea tree oil has anti-microbial compounds, which explains its use in skin lotions, shampoos or other body products. Even though some may not find it difficult to wrap their head around it, the tea tree oil is safe to use for topical application, but you may need to dilute it first with a carrier oil. Stay on the safe side and check for sensitivity first, making a skin patch test. Tea tree oil shampoo is amazing for fighting dandruff and is in fact one of the best solutions out there when it comes to the white annoying flakes. The oil fights the fungus that provokes dandruff and doesn’t dry your scalp either. 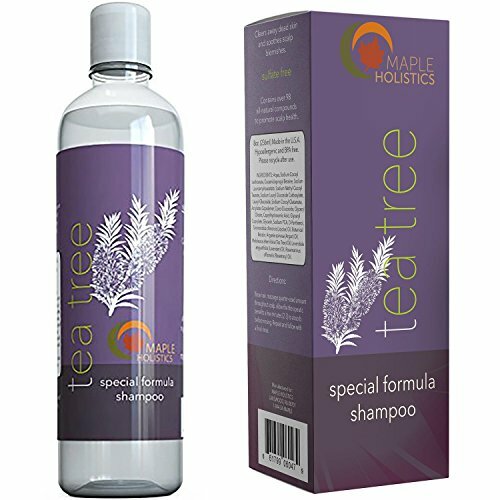 You can use the tea tree oil shampoo as a natural conditioner that solves the problems causing the flakes on your scalp as well. Well, it’s not quite that, but the tea tree oil may improve your hair’s growth, while nourishing the roots and unclogging the hair follicles. This oil moisturizes the hair, so your scalp isn’t dry and itchy anymore and the dead skin cells don’t buildup anymore. In time, your hair gets healthier, growing faster and thicker thanks to the tea tree oil shampoo. Some may have an itchy problem, without having the dandruff problem. A fungus, an allergic reaction, or bacteria determine an itchy scalp and tea tree oil is able to fight these causes. Heck, you may even use it for solving the scalp eczema or scalp folliculitis, if that’s your current scalp problem. Even though it’s not very clear how the tea tree oil is combating lice, some studies have shown that you can rely on it when fighting the little-big problem. It seems that the tea tree oil actually kills lice in the nymph and adult stages of life, lowering the number of lice eggs that hatch. In a nutshell, tea tree oil shampoo is a dependable solution for many hair and scalp problems and you only have to give it a go when in need. 1). 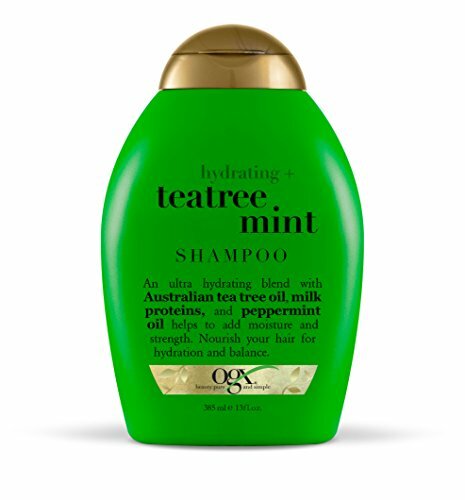 Made with Australian tea tree oils, the OGX Shampoo, Hydrating TeaTree Mint is an effective and low priced option for many. The shampoo presents a special combination of natural and sulfate free surfactants that manage to hydrate and balance your scalp. It doesn’t contain paraben, which is why many consider it a safe choice even for children. You may use it for dry or oily scalp just as well as the shampoo moisturizes a dry scalp, but it’s also able to balance an oily one. Your hair smells nice when using the shampoo and you don’t need to wait months until you see the results. The hair gets softer and the dandruff goes away when using the shampoo. We also like the shampoo for its soothing abilities, calming an itchy and irritated scalp. The shampoo is great also for children and some use it on regular basics only to keep lice away. You may use the shampoo with its matching conditioner so that the action is complete. The bottle has a compact shape that is easy to handle, whereas the small footprint makes it easy to store in any bathroom. The golden lid looks pretty and the green color of the bottle matches the fresh minty fragrance of the shampoo. Soothing, moisturizing and helping your hair smell nice for a long time, the shampoo is one cheap option that you can definitely try. 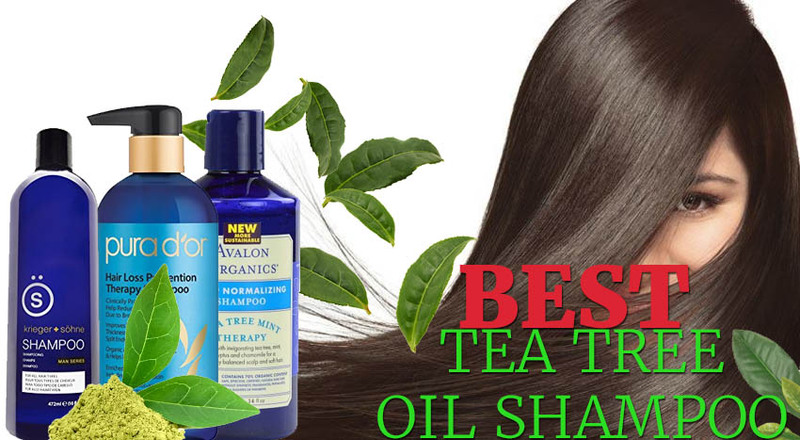 All in all, for a low price, you get a reliable, moisturizing tea tree oil shampoo that may do a great job for your scalp and hair. 2). 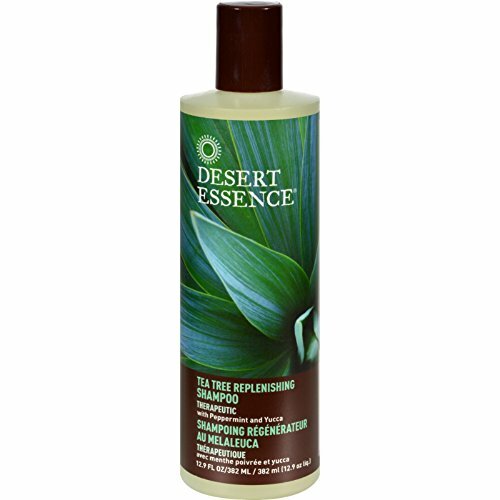 For those of you looking for a vegan tea tree oil shampoo, the Desert Essence, Daily Replenishing Shampoo, Tea Tree is a good option to try, especially considering its price. The shampoo is made with Australian Tea tree oil and it’s full of natural ingredients. It’s made with organic tea tree oil, taking care of your hair and scalp very nice. The tea tree oil shampoo is gentle, yet effective and strong and cleanses without destroying your hair’s natural emollients. It’s also able to restore the natural moisture balance to the scalp so you may use it if you have dry or oily hair. The shampoo’s formula includes natural fragrances and is pH-balanced skin friendly. It contains pure plant, botanical extracts and essential oils, all working for your scalp and hair’s health. As it also contains Lavender and Rosemary, the shampoo soothes the irritated scalp and encourages the circulation to the scalp. The Babassu Oil from the shampoo gives a nice glow to your hair so your hair is smooth and shiny after each wash. 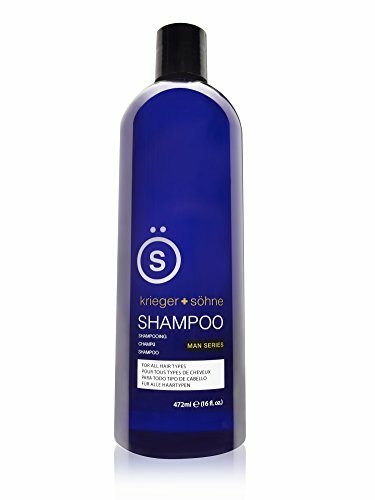 The shampoo smells great and has a refreshing, but not overpowering, perfume. It gives your hair and scalp a clean feeling and feels light on your hair. It doesn’t build up and feels soft to touch. You hair gets softer, stronger and suppler. Made in our USA, the shampoo is 100% vegan and may fade color, which is why you shouldn’t use it on a treated hair. Despite the minor issues, for the benefits on your scalp and hair, the nice perfume and the 100%vegan part, you should give it a go first time you want to change your shampoo. 3). Effective on so many levels and bringing all kinds of benefits to your hair and scalp, the popular Pure Tea Tree Oil Shampoo – Natural Essential Oil Anti-Dandruff Shampoo for Dry Itchy & Flaky Scalp is one dependable shampoo for so many of us out there. The shampoo is working from so many points of view and not only eliminates dandruff, but also soothes and calms an itchy and flaky scalp. It contains the tea tree oil that is both anti-fungal and anti-bacterial. The shampoo hydrates and cleanse deeply your hair, leaving the hair and scalp nice and fresh. You may also use the shampoo for keeping the head lice at distance. If your hair is thinning, the shampoo is worth to try as well. Either you use it for you or your kids, the shampoo sustains and encourages hair growth and regrowth. You don’t have to wait very long until you notice your hair getting stronger or more luscious. Your hair doesn’t fall anymore, nor sheds or thins. We also like the shampoo as it locks in moisture and hydrates your scalp. As it’s chemical free, the shampoo works against lice even if your hair is colored or processed. The rosemary and lavender sure sustain the tea tree oil efforts when it comes to that. The formula is also hypoallergenic and sulfate free so the shampoo is a safe choice for the sensitive skin also. If you’re having some problems with your hair tangling, the shampoo is also a good choice. A little goes a long way and the shampoo doesn’t leave a strong, botanical smell afterwards. It actually leaves a cooling sensation, which may be a bit too much for some. Regardless, for all the good things you do get it why the shampoo is so popular and reliable for many. 4). 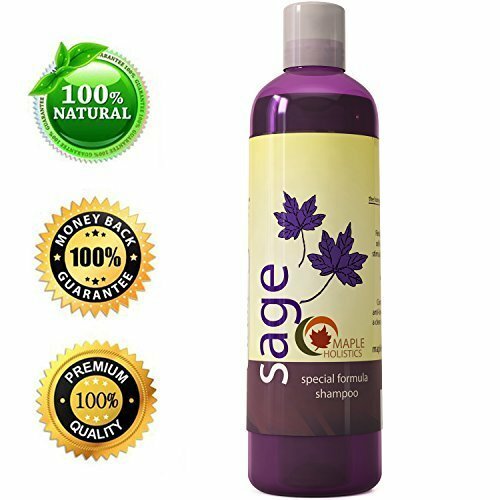 If dandruff is your current hair problem, try to solve it with the Maple Holistics Sage Shampoo for Anti Dandruff with Jojoba, Argan, and Organic Tea Tree Oil. The sage shampoo is a natural option that fights efficiently against dandruff. It’s hypoallergenic and doesn’t include any harsh ingredients. You may also use it if your hair is treated. The formula of the shampoo explains why it solves the root problems that cause dandruff. The list of ingredients contains organic and mild ingredients that work on all hair types, including customers sensitive to SLS or other detergents. For a better understanding of the formula, let’s take a closer look to its main ingredients. Safe is well known for its anti-inflammatory and anti-septic abilities, fighting against dermatitis. It may also sustain the hair loss problem. The rosemary stimulates cell renewal of the hair follicles, whereas the tea tree oil clears out the dead cells. This also encourages the new hair to grow and the circulation to get better. The botanical keratin makes sure that the healthy hair stays that way, whereas the spikenard restores the pigmentation to the hair, fighting against dermatitis as well. As for the jojoba and argan oils we all know that they make the hair shine better and smoother with each use. The spicy fragrance of the shampoo is interesting in a good way. The shampoo cleanses well, doesn’t strip and eliminates flakes and itchy feeling. It leaves no residues and works great on oily hair. Despite the problems, we still consider the shampoo to be a reliable option that is full of natural ingredients, bringing so many benefits for your hair and scalp. 5). When you think you’re ready to commit to a shampoo, put your trust and faith in the Paul Mitchell Tea Tree Special Shampoo. The shampoo is so effective that some even use it for a decade, which says a lot about its performances. The shampoo is great as it contains natural tea tree oil, lavender and peppermint. This explains why the shampoo cleanses so well, deep into the roots your scalp and hair. It washes all impurities and leaves your hair fresh and clean. You actually feel your hair nourished, healthy and full of luster. The shampoo doesn’t lather up and doesn’t leave your hair greasy or fly away. The scalp doesn’t get itchy and the hair doesn’t remain with a wet feel. The strong peppermint tingle creates a nice refresh feeling for your scalp. The shampoo soothes your scalp thanks to the lavender, combining so well with the peppermint and tea tree oil. The shampoo is vegan and safe to use for treated hair as it’s color safe. You may also use it when fighting eczema as the shampoo stimulates scalp. Its size make it a great option when travelling too. Even though the shampoo isn’t perfect, it’s still a reliable shampoo that keeps your scalp healthy and your hair nourished and deeply cleansed. 6). Even though you may feel like paying the extra buck when getting the K + S Salon Quality Men’s Shampoo is The Best Selling Shampoo for Men – Tea Tree Oil Infused, it’s only a matter of time until you get to realize the shampoo is totally worth it. The shampoo is made with tea tree oil so it’s able to cleanse deeply your hair and scalp. You get rid of all the beauty products you put in your hair and your hair remains clean, fresh and deeply nourished. The more you use the shampoo, the less you need to wash your hair, that’s how effective it is. You may rely on the shampoo if you’re struggling with dandruff or itchy scalp. The shampoo doesn’t strip your hair from its natural oils so it’s efficient, without damaging the natural hair. The shampoo smells nice, but its fragrance isn’t the typical overpowering type you may expect from a men’s shampoo. The formula is rather mild and the shampoo keeps your scalp and hair fresh and healthy the more you’re using it. Let’s not forget the shampoo is made in our USA and it’s not tested on animals. As long as you’re aware of its downsides and manage to see the many benefits, you’re safe to use the shampoo if you’re a man fighting dandruff or itchy scalp. 7). When you’re looking for a shampoo that does a bit more than fighting against dandruff, put your money at stake with a sophisticated formula that helps with the hair loss and hair thinning as well. The PURA D’OR Hair Loss Prevention Therapy Shampoo Thinning Hair Treatment Organic Argan Oil & Biotin is full of natural ingredients, which sustain the efficiency of the shampoo. The hair treatment includes 12 important active ingredients that detoxify your scalp and sustain the healthy hair, making it stronger and more resilient. 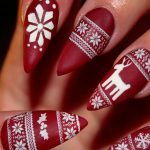 The list includes Niacin, Biotin, antioxidants, tea tree oil, and many other natural ingredients. It doesn’t include any parabens, gluten or harmful chemicals. It’s a hypoallergenic formula that works for color-treated hair, protecting the color. The invigorating combination or organic extracts and essential nutrients minimize damage, improving cell growth altogether. The formula full of premium oils, vitamins, and antioxidants nourish your hair and scalp, no matter if the hair is thin, color-treated or damaged. You may use the shampoo daily, on regular basics. The shampoo rinses clean and smells nice. It lathers well and prevents split ends, taming frizziness and “fly-aways”. It comes in pump bottle that is easy to use and has just the right size. A little goes a long way and the hair shampoo leaves your hair luscious, natural and with a nice flow. We’re not sitting on the fence with this one though, but simply put, the formula may work amazing for you, if your hair and scalp like it enough. 8). 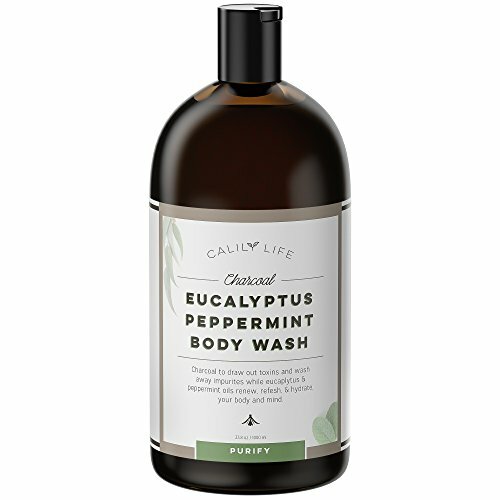 Highly concentrated, the Calily Life Organic Detoxifying Charcoal + Eucalyptus + Peppermint Body Wash manages to be effective without you having to use a lot. The shampoo’s formula includes tea tree oil infused with natural Dead Sea minerals, harvested at the Dead Sea Valley. It eliminates impurities and nourishes your hair. Your hair is cleaner and shines better than before. You may also use the shampoo for relieving dandruff and other scalp conditions as it goes deeply into your hair follicles, putting an end to various scalp issues. The antibacterial and anti-inflammatory properties of the tea tree oil works also against the dry skin, hair loss, head lice and many more. The formula includes not only oils, hydrating minerals, extracts, but also vitamins so this is why is moisturizes the hair and scalp. The shampoo balances your hair’s natural oil, removing excess oil and dirt particles. As it also eliminates dead cells, the shampoo nourishes the roots and unblocks the hair follicles. The shampoo contains natural growth so this is why it sustains the anti-androgenic properties, putting the hair loss causing hormones under control. The shampoo doesn’t contains any chemicals, synthetic detergents or preservatives. This is why it’s such a safe choice for the sensitive skin as well. The shampoo is paraben free and FDA compliant. It comes in large bottles that are easy to pump so you always get the right amount of shampoo. No matter how you put it, we think the shampoo still stands as a dependable option, even though it has its quirks. some may feel like paying too much on the next shampoo, but the moment you get to use it and see for yourself the results, you’re gonna congratulate yourself on your latest buy. 9). The Hot Oil Treatment by PrePoo for Hair – Damaged, Over-Processed, Dry Hair Repairing Pre Shampoo is so effective that is actually turns a dull and damaged hair into a shiny and healthy one. The more you’re going to use the shampoo, stronger your hair is going to get. It’s not going to shed nor break as often and the brittles are going to slowly disappear. The shampoo helps the scalp get healthier and sustains your hair growth. 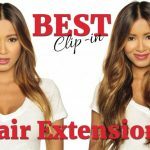 It gives more volume to your hair and a nice glow. 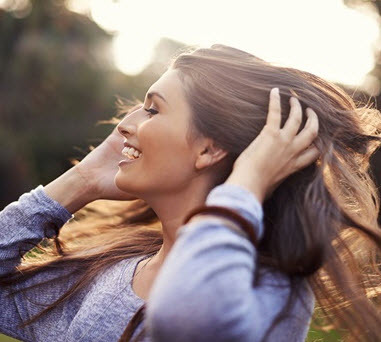 Your hair doesn’t lose its natural antioxidants anymore and gets softer. You may also notice how it’s easier the manage its frizz and how it doesn’t tangle anymore. If you have curly hair, your curls may get softer, tighter and shinier. For the thinning areas it’s best to massage on the scalp area more often so that you see some results in 2 weeks. It’s also a good idea to use a pre-shampoo treatment to minimize the flaky scalp, itching and dandruff- they all cause hair loss. The slight garlic scent may be a bit too much for some, but it goes away quite fast. The shampoo is made with all natural ingredients and includes no silicones, sulfates or harmful ingredients. The formula doesn’t contain artificial fragrances, nor SLS. You may use the shampoo together with regular cleansing products. It’s made in our USA and it’s not tested on animals. 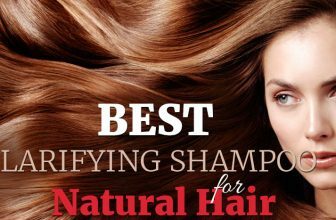 Nevertheless, the shampoo still stands as a natural option that helps your hair grow and scalp get healthier. This is why you got it in the first place, right? 10). It must be the 100% vegetarian formula of the Avalon Organics Scalp Normalizing Therapy Tea Tree Mint Shampoo that makes it so good for your hair. The shampoo doesn’t include any synthetic colors, harmful sulfates or parabens. It includes though tea tree, mint, chamomile and eucalyptus and each of these ingredients has its benefits on your hair and scalp. Made with organic ingredients harvested directly to the source, the shampoo means so well to your hair. It cleanse it well and deeply up to the roots, helping it become healthier. The shampoo minimizes scalp discomfort and soothes any itchy scalp. Its organic formula makes it a safe choice for the allergic customer also or for anyone with sensitive skin. The hair becomes shinier and smooth, whereas the tangling slowly fades away. It doesn’t shed and you can also say good-bye to any fly-aways. Simple, yet so highly efficient, the shampoo is the organic option that may work for so many of you out there. Simple, yet reliable and efficient, the shampoo isn’t the best option, but it’s clearly a dependable one for many.